Do you need some burner emails to send some anonymous messages? Check this list of the best temporary email services. It may be that using a temporary email address doesn’t make much sense if what you are looking for is to be completely anonymous since they offer zero guarantees of confidentiality. However, temporary email addresses have their use when you seek to avoid unnecessary register or forced subscriptions to obtain some content. Another reason could be, for example, if you wanted some emergency information. I repeat, of course, they can use these services as long as they don’t use them to send sensitive information. That said, I will show you some of the best temporary email services. 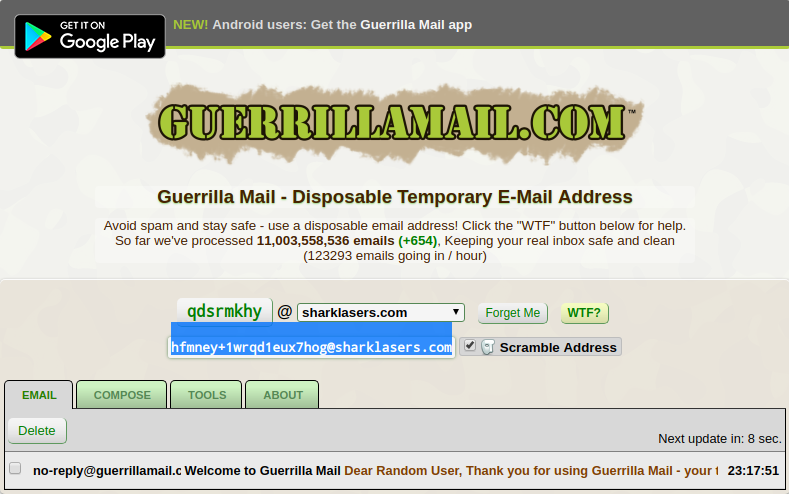 GuerrillaMail is a potent tool that has been operating for a long time. It has several domains that you can use at random if you wish. The addresses can be permanent, but all emails are deleted after 24 hours. Unlike most services that offer temporary email, GuerrillaMail doesn’t filter the content of incoming messages, so you can receive spam, open attachments and even send attachments of up to 150MB. 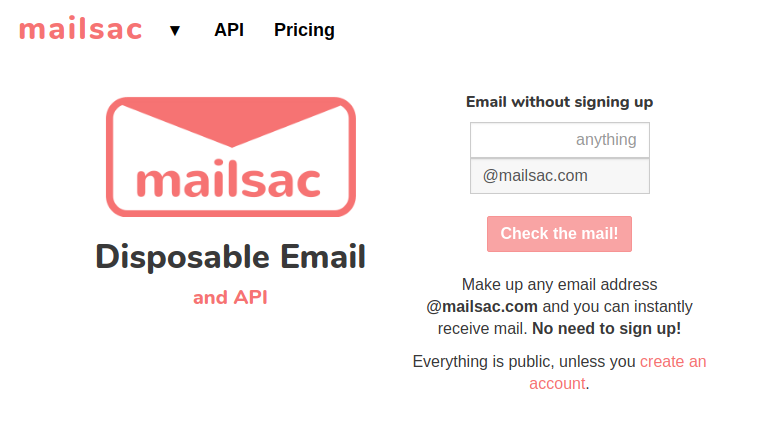 There isn’t much to see in Mailsac because both its interface and tools are very simplified. In a matter of seconds, you can create a temporary email address, where you already know that the content will be public. However, if you want to save the emails permanently and privately, you can register using a simplified form. Messages are saved for up to a week. Mailsac also offers the possibility of expanding the capabilities of your registered accounts, although this idea is contrary to the objective for which we initially chose the service. 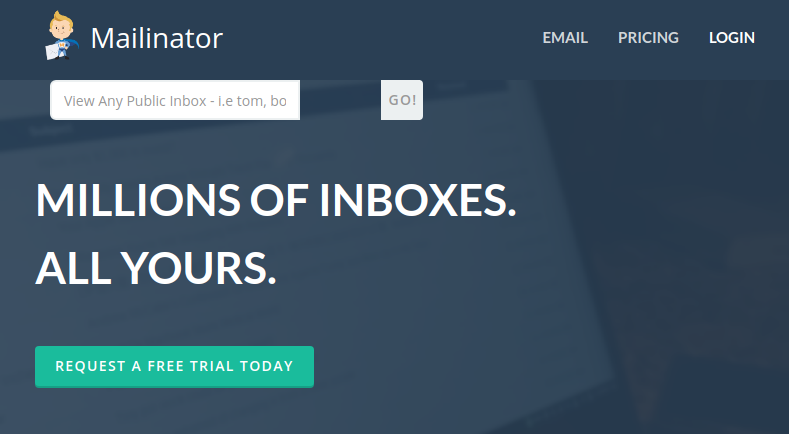 Mailinator is one of the longest-running temporary email services that exist; however, to date, it continues to fulfill its objective and is an exciting alternative. As soon as you enter the Mailinator website, you get an email address, or you can choose to create one. All content is accessible to the public. A disadvantage of Mailinator is that it doesn’t allow sending emails and all received emails are deleted after 24hrs. Also, being such a long service has brought a bad reputation among the registration services and many blocks the primary domain, so Mailinator offers alternatives. Most temporary email providers have an old interface. They looked like abandoned services. Maildrop.cc differs from the rest precisely in this, since it has an interface that seems to follow the Material Design guidelines. As soon as you enter Maildrop, you will get a suggested email address, or you can change it. To protect the user from harmful messages, Maildrop discards emails that contain attachments and any email that weighs more than 100 KB. Each email address can hold up to 10 messages for an indefinite period, as long as the account is not inactive for 24 hours. Describing 10 Minute Mail is simple because its name is self-explanatory. 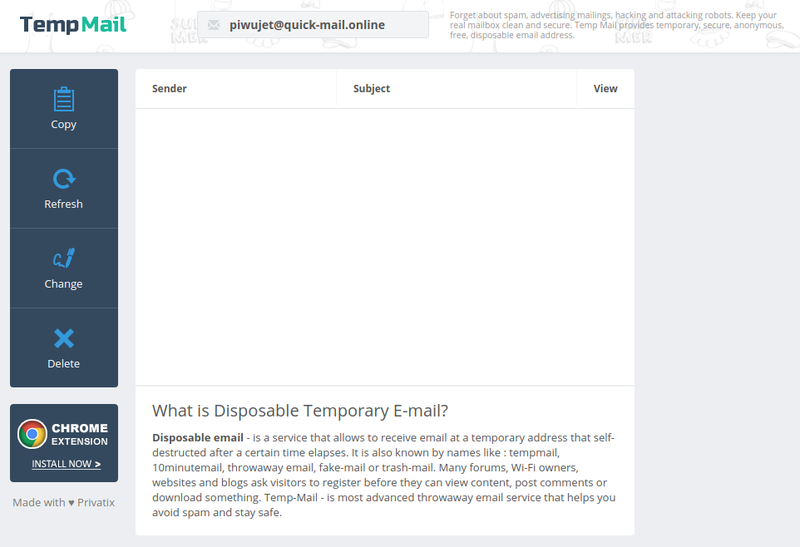 The temporary email service doesn’t have a friendly interface or great options. It does not even let us choose an email address. As soon as you enter the assigned mail, a clock starts the countdown, and upon completion, the email account will be reset. Despite this, there is a button to reset the time, which will give us an additional 10 minutes as many times as you want. If you close the browser window, you can’t return to access the emails, which gives you some security because no one else can see our emails. Inboxen is a free temporary email service that allows you to create burner email accounts with unlimited inboxes. That is, it will enable you to create as many email addresses as we want and access all of them from a single platform. Inboxen also offers the possibility to download any email as plain text, mark messages as important, manage inboxes, fixed one over the others or protect access with two-factor authentication, etc. From YOPMail it is possible to create temporary email accounts in a matter of seconds and without having to make any registration or passwords. The email accounts created with YOPMail are valid for eight days, and during that time we can access them from the web itself. 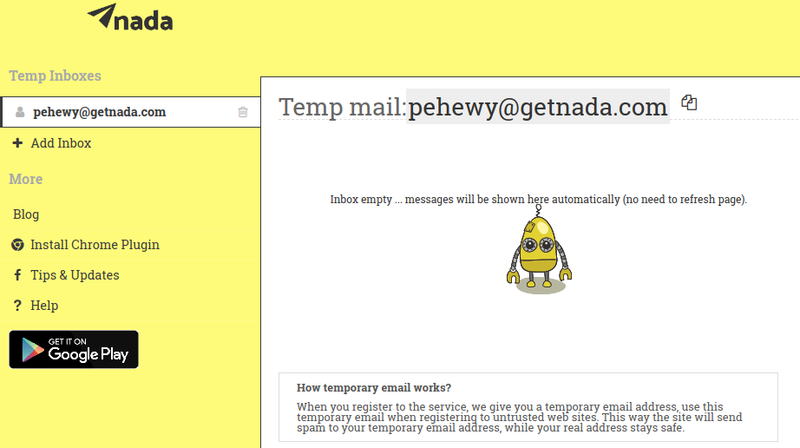 From the creators of AirMail, you have Getnada, a service to create temporary emails from the browser and from Android through its mobile app. Upon entering the web, you will get a temporary email for Facebook and other services although you can also create new accounts with a custom alias and different domains. Your messages will be removed after seven days. You can also delete emails manually. Create several temporary email accounts: create as many trays as you want (from different domains). Getnada ensures that users’ records are deleted after 24 hours. In the case of IP addresses, they are encrypted to prevent anyone from seeing them. Also, it has an Android app and an extension for Google Chrome. ThrowAwayMail is a relatively simple website to receive spam emails and, unlike other services, it doesn’t have many functions. When entering ThrowAwayMail, you must generate a random account that only you can use. The mailboxes expire after 48 hours of having created them. If you don’t visit the tray within this time, they will be deleted. Although each time you visit them, the time will be extended by another 48 hours. Temp Mail is another use and burner email service, which assigns you a random account as soon as you enter the site. If you don’t like the assigned random account, you can change it to another username and domain. Manually delete messages: to prevent other users from reading your messages. Keep in mind that the email address is valid until you remove it. It is not necessary to extend the duration. Also, Temp Mail has an extension for Chrome, Firefox, and Opera. It even has a free app for Android and another for iOS. Mail for Spam is a free spam mail service where you can choose the username (name@mailforspam.com). On this website, the mailboxes are public, so anyone can see the messages received although it has an option to remove all emails from the tray. They don’t have a specific period to keep the emails stored, being able to last a few hours or even months. Undoubtedly, one of the most easy-to-use temporary email with no IP account creation limitations. With TrashMail, you can create a disposable email address with the name you want and in different domains. To use the service you need to register with an existing email account. However, this can be a problem if you want privacy and anonymity. It has a paid version with no time limit for accounts, up to 2500 email addresses and even the possibility of sending emails from the web itself. Although Trash Mail works very well, the different options it has can make its use a little complicated. So far the best temporary email services you can use to create disposable email accounts to send anonymous messages or sign up on some websites when you don’t need to give your real email address. Do you use another burner email services? Let me know in the comments section to add it to the list.